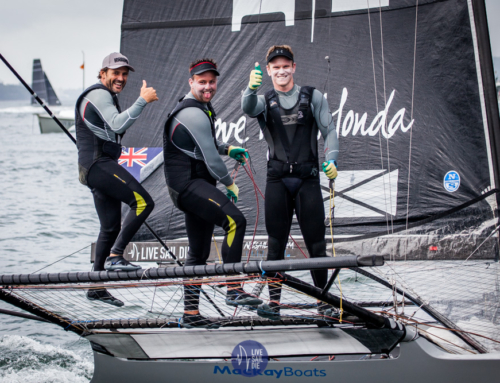 With just days until the 2018 JJ Giltinan Regatta kicks off in Sydney, the excited nerves are starting to set in among the sailors. The Auckland Skiff League / Royal Akarana Yacht Club team from New Zealand, travels to Sydney on Thursday and will head straight to the Australian 18 Footers location in Double Bay to unpack their boats and prepare for battle. 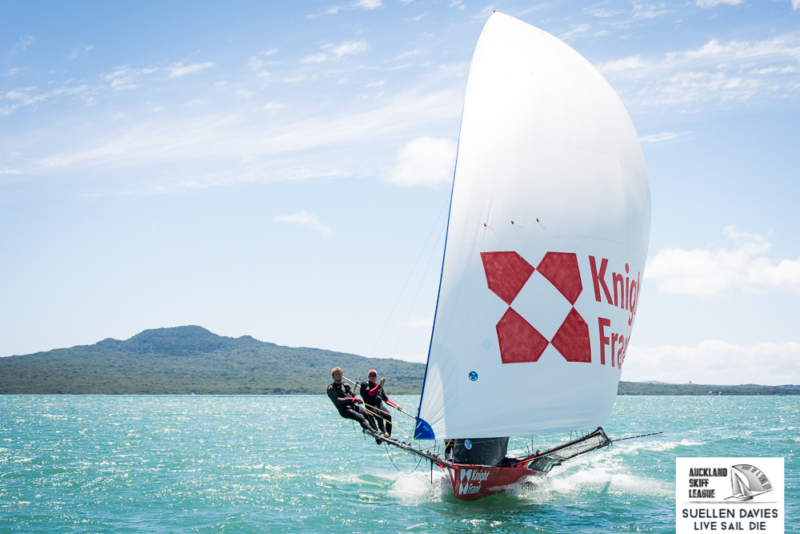 The Knight Frank team have had a positive lead up to this years regatta, and are going into the event strong. 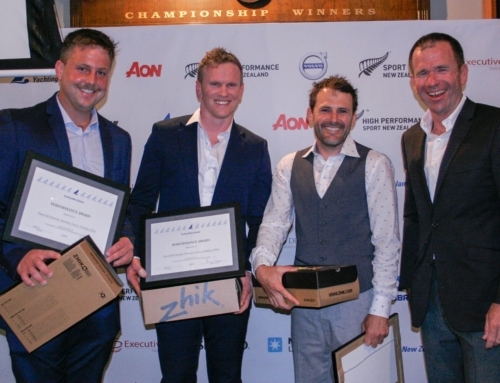 Riley Dean (skipper), Luke Stevenson (main) and Tim Snedden (bow), have sailed together consistently over the last 12 months and are “feeling good” as they head into this years JJ’s. “Definitely feeling it coming into this years regatta after another great year of sailing with the same crew,” said Dean. “The boat is in great shape and we can’t wait to start racing. We have had some great lead up racing in NZ this year so looking to build on that in Sydney,” continued Dean. Luke Stevenson is equally eager to get on the water in Sydney, and said that they game plan this year is pretty simple. “Realistically, we are looking to make sure we are in the mix after the first half of the regatta. Last year we had a really tough start with a couple of gear breakages and an OCS, leaving us well down the leader board. “This year the aim is to go into the back half of the regatta in touch with the leaders without any terrible races on the board. From there, we can start to be a little more aggressive and take a few risks to see if we can make some magic happen,” continued Stevenson. 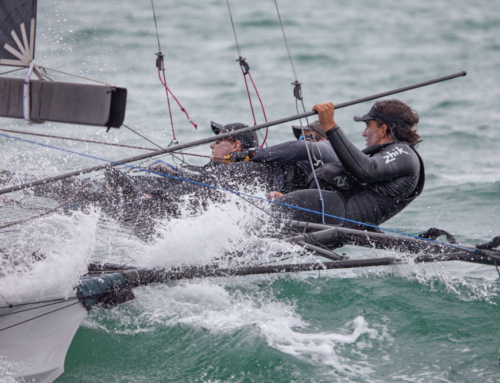 All races will livestreamed via 18 Footers TV on YouTube and via the Australian 18 Footers website.